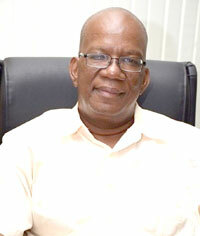 Chartered Accountant, Christopher Ram has questioned the statements made by Minister of Finance, Winston Jordan regarding the lack of capacity to audit the pre-contact cost submitted by ExxonMobil. “That is the most astounding admission of incompetence to have emanated from this government. If you can’t audit US$460M how are you going to be able to audit US$4B? Who did Mr. Jordan consult to know that the country does not have the capacity?” Ram questioned. Nearly two years after the 2016 Production Sharing Agreement (PSA) was signed between the current Government and ExxonMobil, Jordan told reporters last week that Guyana currently still lacks the capacity to audit the US$460M. “It is really a tough issue for us,” Jordan stated. “The accounting professionals should take offence at such a statement and even our Audit Office,” Ram noted. He suggested that Minister Jordan should consult with the Minister within the Ministry of Finance, Jaipaul Sharma, who has successfully piloted several investigative and complex audits. “Sharma oversaw dozens of audits, often of a far more complex nature. We do have the capacity. In the case of the audits that Mr. Sharma supervised, you didn’t always get the cooperation of some of the auditees. The document trail might have been missing or gone cold. In the case of ExxonMobil, they have a contractual duty to maintain records which need to be verified,” Ram noted. 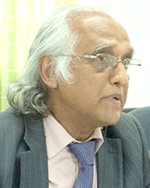 Ram had previously expressed the view that Guyana should not have included the US$460M pre-contract cost in the PSA without having it audited. He had also pointed out that the US$460M only accounts for 1999 to 2015. Ram is of the opinion that the cost is overstated by US$92M and that additional pre-contract cost should be expected for the period January 2016 to October 2016.
International Lawyer Melinda Janki indicates that Guyana is already in a US$900M hole as of October 2016. Costs continue to be incurred from 2016 to now, towards the development of the Liza Phase One Project. This will be added on top of the pre-contract cost, which is all cost recoverable. ExxonMobil has boldly stated to be open to such an audit should Guyana make the request. Jordan had stated that persons requesting Government hire the necessary skills should also indicate how the hiring would be funded. “Mr. Jordan doesn’t have a clue of what he is talking about, and to think he is a part of the quintet of Government Ministers overseeing the oil and gas sector is what bothers me so much,” Ram pointed out.